my game table years ago, it was one of those games that just seemed to…fade..away. It did not get a dramatic cancellation or sold off to another company. Books just stopped. We meet again, you low-down cattle stealing…BANG…and I missed. Unless the mechanics change significantly (and the summary suggests they do not) I recommend you check out my review of the first edition “Aces and Eights” game I wrote up a few years ago. The “shot clock” and the setting appear the same, so it is a good introduction. 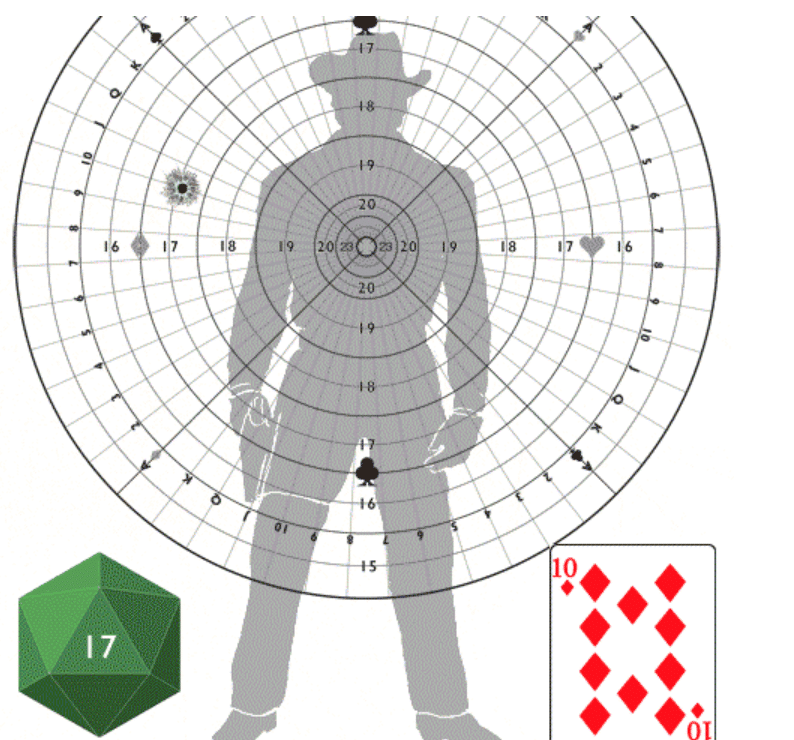 One thing to keep in mind is this game is the most lethal game I ever played. Period. It makes “Boot Hill” look like a game of flag football! 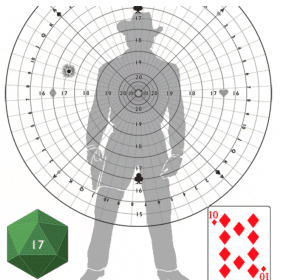 Still, it was a hoot to play and “Westworld” does open up some options for a setting…. 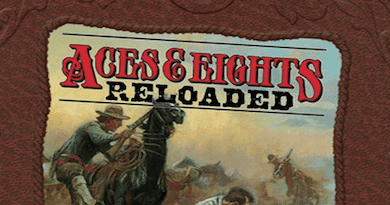 I am already well-supplied with first edition “Aces and Eights,” but I look forward to checking this one out when it hits the shelves.